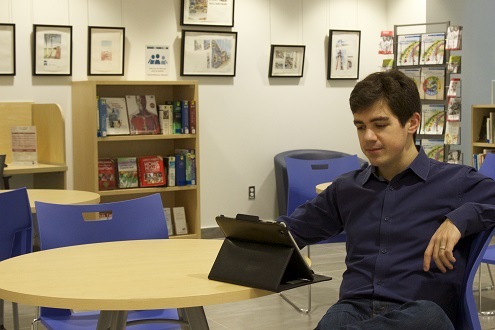 The McConnell Patient Resource Centre (PRC) at the Glen Site of the McGill University Health Centre (MUHC) is a place where adult patients and their loved ones can find reliable, clear and up-to-date health and wellness information and resources. The librarians at the PRC can help you to find answers and resources you can trust. government and community resources, etc. The PRC has a growing collection of patient-friendly books on medical topics that patrons can borrow as well as a selection of health-related pamphlets and information sheets. 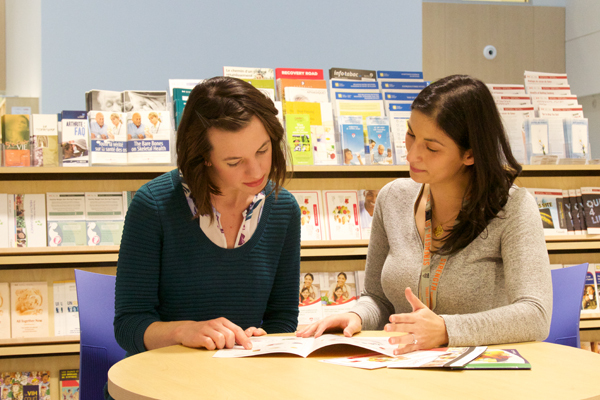 Visit us in person or search for books in our Patient Book Collection. Are there any registration fees for borrowing books? No. Borrowing books from the PRC is a free service. What information will you need to register me? To borrow books, you will need to provide your detailed contact information and either your hospital card or a piece of photo identification. How many books can I borrow and for how long can I borrow them? You can borrow up to two books at a time for a period of three weeks. Can I renew the books I’ve borrowed? You can renew books once (for another three weeks), provided that no other patron has requested the book. To renew a book, come in-person or contact us by email or by phone. The PRC has identified several reliable websites containing health information for the general public. See our page “General Health Sites” to find websites, web dictionaries and encyclopedias, health news, and resources on how to evaluate health information. See our “Health Topics” page to find information about a condition, a disease, a treatment or another specific health topic. *Photocopying costs $ 0.10 per page. The information on this website or provided by the McConnell Patient Resource Centre is for educational purposes only. It is not intended to replace the advice or instruction of a professional healthcare practitioner or to substitute for medical care. The McConnell Patient Resource Centre furthermore accepts no responsibility for any issues or damages related to the use of its equipment (including but not limited to: computers, photocopier/printer/scanner, fax machine, and hospital Wi-Fi network). In particular, the McConnell Patient Resource Centre assumes no responsibility for any personal information left on computers or any other equipment.